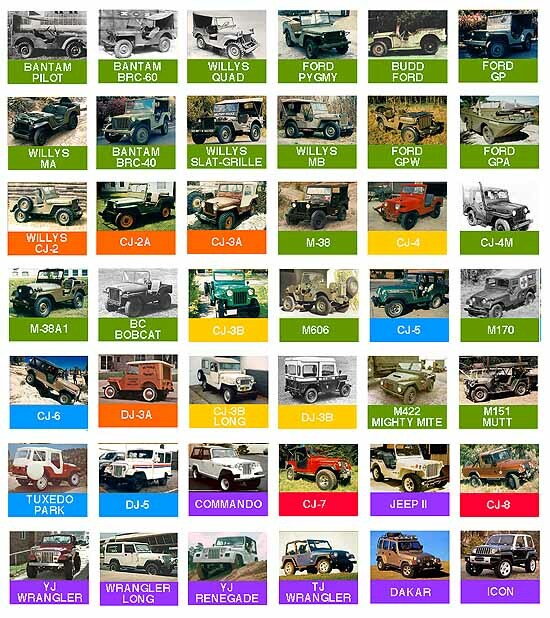 From humble origins -- a handful of prototypes built by three different manufacturers -- the Jeep 1/4-ton utility vehicle has evolved over the years into one of the most popular and versatile vehicles ever made. 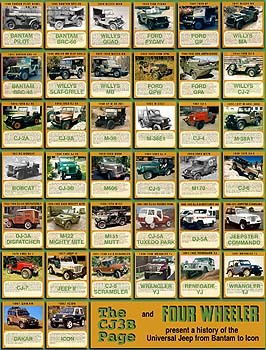 Named the "Universal Jeep" by Willys-Overland shortly after World War II, it's been used in combat and for desert racing, for rock crawling or daily driving . . . in short, if there's a road or trail anywhere in the world, chances are that sometime, somehow, a Jeep has driven over it. 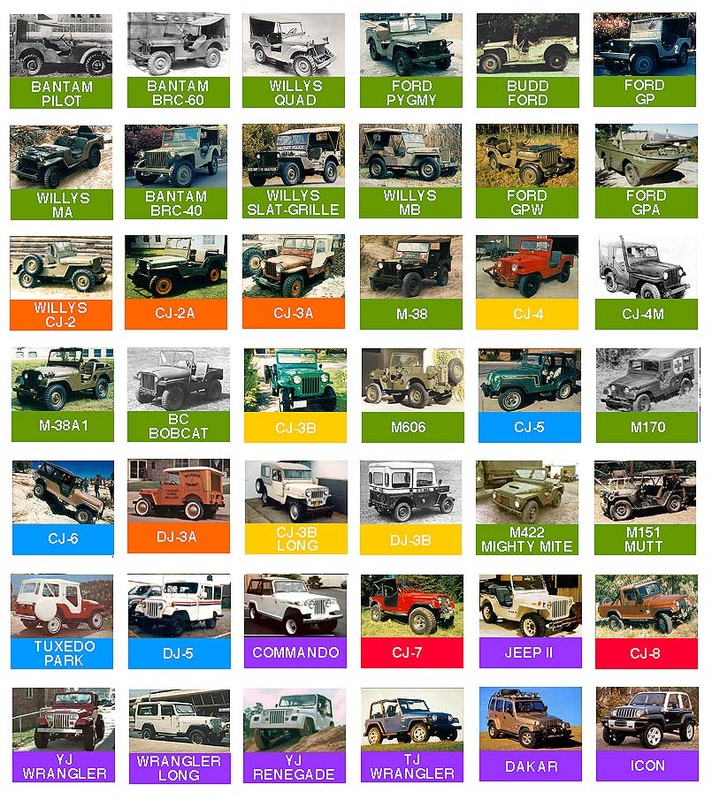 Click on any Jeep in the below, for a larger photo and description of that model.